The Womens Peak Ascent ND 38L Rucksack is a clean, functional, and great value, so it's ideal for entry level alpine and winter mountaineering. 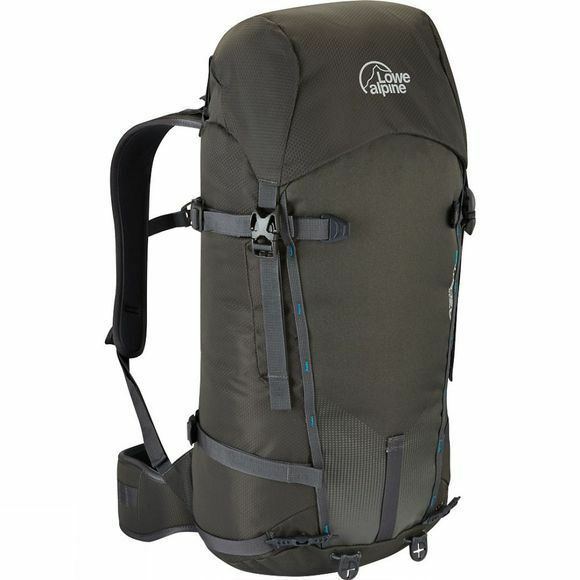 This 38–litre backpack packs in the essential features of the Alpine Ascent to offer amazing value for money. With this pack you'll be equipped for both rock and winter routes. Ice–axe and crampon attachment systems, plus ice screw krab slots on the hip make this pack a go–to choice for your first forays into alpine and winter mountaineering. The Peak Ascent ND 38 incorporates the refined geometry of Lowe Alpine's carefully designed women’s back systems, offering a super comfortable and secure carry. The Moulded back system is comfortable, supportive and snow shedding with grip panels for load stability.